Molly Furey looks at the successes and failures of other student centres and asks what it takes to create a facility that serves students through the decades. University College London, as a city-centre campus, has had similar issues as Trinity with a shortage of space. A building is, invariably, a product of its time. From the familiar red-brick facades of Dublin’s Georgian architecture, to the straight-edged minimalist look of a Bauhaus block, a building can reveal the character of its context, the demands of its age. History takes possession of the man-made edifice, and thus the construction of one is no trivial task. Trinity’s plans to construct a new student centre have been set in motion – if they’ve dragged a little. The masterminds behind the project must command responsibility of the task. Speaking to The University Times, the President of the University of Essex Students’ Union, Tancrède Chartier, had advice for universities hoping to construct new student centres in the near future: “Build a space that you can change.” Chartier affirmed that this deliberate adaptability “will give a feeling of ownership to every single generation that will come through”. “They’ll be able to make it their own”, he added. 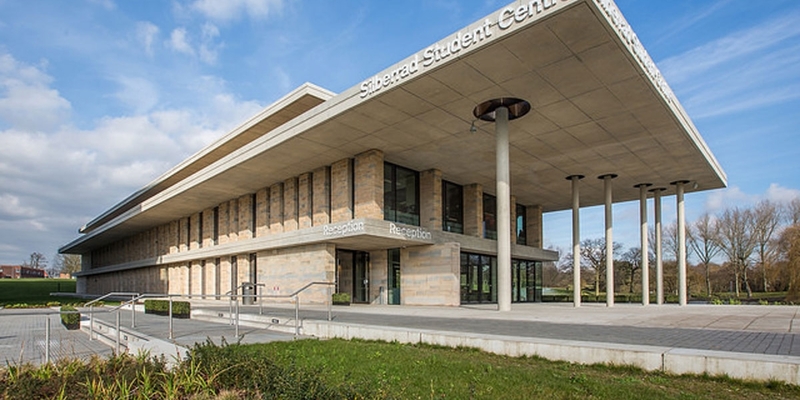 The University of Essex, named the university of the year for putting students first at the Times Higher Education awards in 2018, opened a state-of-the-art student centre back in 2014, which presumably has been central to the union’s successful endeavour to improve the student experience. Chartier, however, was quick to counter my presumption: “It’s a student centre in the name, but not in much else.” Chartier voiced some discontent over the fact that the student centre had been appropriated into the academic sphere, and does not, as the original plan envisioned, serve as a hub for creativity and student activity. The interior, from pictures at least, seems almost untouchable – minimalistic and pristine. Indeed, the building, Chartier affirmed, has evolved into an esteemed and protected space on campus, fixed and static in its design. Walking into the Silberrad Student Centre, on the left is a hallowed reception in which the chancellor is usually welcomed when he visits: “It’s become quite a prestigious place”, Chartier explained. To the right-hand side then is an art exhibition, the placement of which, he suggested, represents a missed opportunity by the college to celebrate the work and achievements of its students, be it in the form of sports cups or society awards. As if to specifically counter these issues in Essex, University College London’s (UCL) new student centre, opened in February 2019, features a selection of artwork created by its own students, both past and present. Rachel Whiteread, a graduate of UCL’s Slade School of Fine Art and Turner Prize-winner, created a sculpture specifically for the new building. Additionally, digitally printed artworks by current UCL students are featured in the centre’s study rooms, which provide 1,000 new study spaces. This juxtaposition between the work of graduates and current students acts as a drawstring that pulls together the successive generations of UCL students. Honouring students that have come before, while also celebrating those of the present, UCL’s student centre creates a sense of a transcendent student community, each generation of which has a place in this new and innovative building. UCL’s 1,000 new study spaces would not go amiss in Trinity’s prospective student centre – the early-morning stampede for a seat in the Ussher is both a disturbing display of our readiness to mercilessly abandon friends, and a worryingly brazen showcase of desperation. Being at the heart of Dublin’s city centre, space is, inescapably, an even broader issue than that of our library seat struggles, and probably accounts for the fact that a site for Trinity’s student centre has not been confirmed as of yet. UCL was faced with similar challenges according to UCL Students’ Union’s (UCLSU) Activity Officer, Khaleel Mirza, who, in an email statement to The University Times, explained the constraints of being in a city centre location: “Being a university in central London has meant that space is an issue generally.” However, Mirza praised the new £67.4 million building for “its effective of use of limited space”, evidenced by the inclusion of a roof terrace and underground floors. Trinity College Dublin Students’ Union (TCDSU), the Central Societies Committee (CSC) and College are working together to bring Trinity’s student centre vision to life. 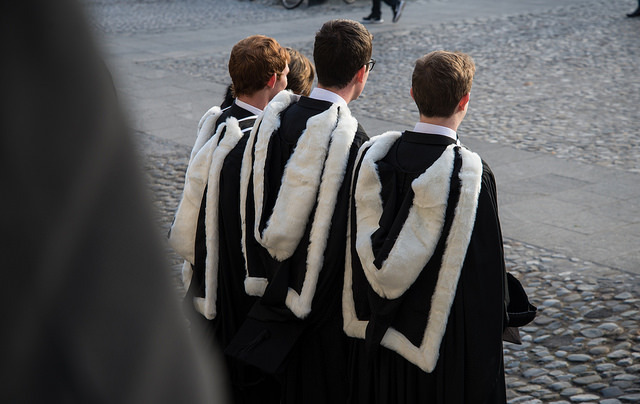 To gain insight into the workings of some of Ireland’s and the UK’s top student centres, they will be travelling to different universities to ascertain what might work, and what certainly will not. In an email to The University Times, incoming president of the CSC Lee Campbell affirmed that the planners are painfully aware of the unique issues a city-centre campus location poses to such an ambitious project and was eager to affirm that they “will also be visiting additional venues outside of the university sphere to help us think outside of the box in this regard”. 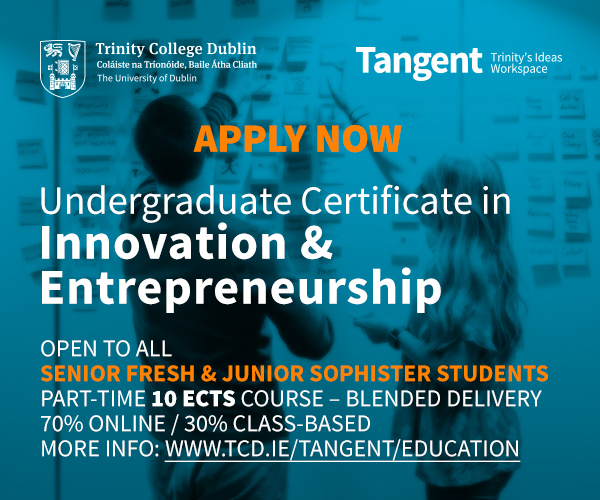 For all this external research however, what those who are formulating these plans must remember is that students are at the core of this: creating a space tailored to the needs of Trinity’s students can only be done with input from the students themselves. 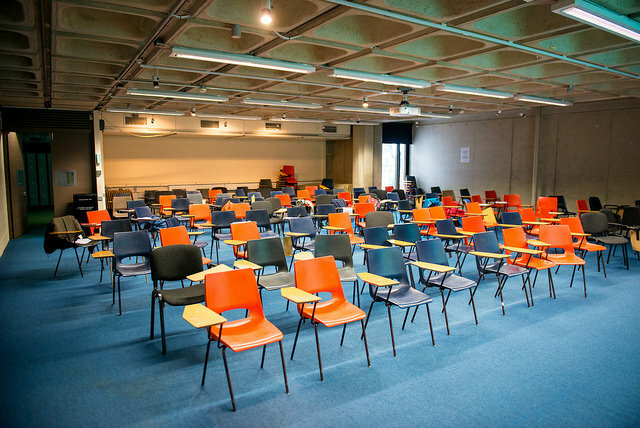 This focus on student-specific requirements was central to the success of University College Dublin’s (UCD) student centre according to UCD Students’ Union (UCDSU) President Barry Murphy. “There was a lot of consultation done with the students”, Murphy explained, speaking to The University Times. Construction on UCD’s award-winning student centre, which is famed for its 50m swimming pool, 3D cinema, dance studios, theatre and the Fitzgerald Debating Chamber, was no meagre undertaking. 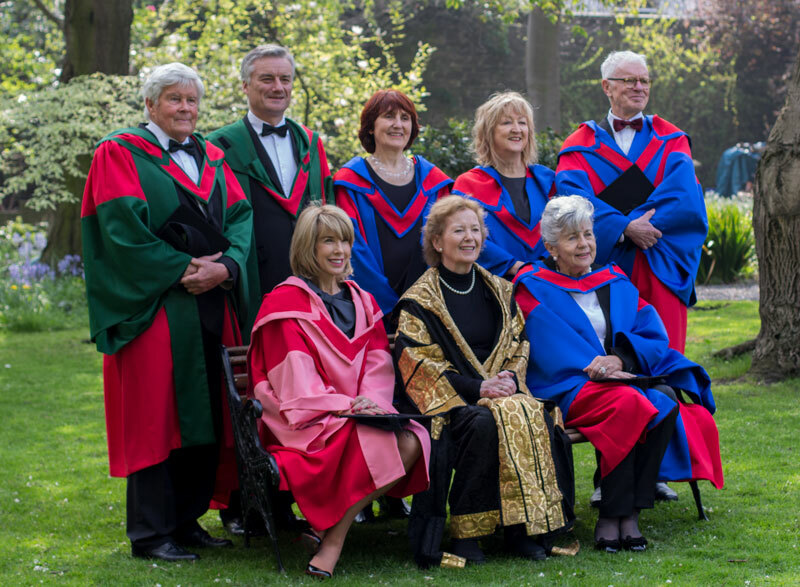 Murphy described the vision of the project as an endeavour to create “a place for students to engage in university life”. 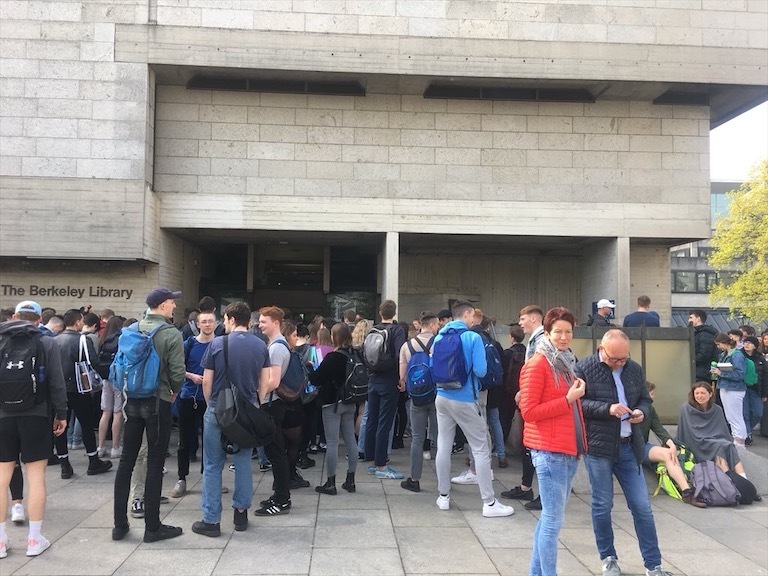 In the first week of April, a student referendum took place in UCD to decide on the continuation of its student centre levy, previously voted on in 2006 to fund the construction of the building. As reported in the University Observer, 61 per cent of all voters in the referendum voted in favour of a 20-year extension of the levy until 2043. The continuation of the levy will fund an expansion of the existing student centre and fulfil the incomplete plans produced by the “optimism of 2006”, according to Murphy. The university happily credits the success of many of its alumni to its willingness to foster their love of the arts and creativity through such facilities as those offered by the student centre. “It is a credit to the facilities that those people have been allowed to flourish”, Murphy asserted. It’s no surprise, then, that students remain eager to maintain and develop the space that has already “produced some very talented individuals”. UCD’s student centre, it seems, is the knot at the centre of what is a vast and sprawling network of creative and innovative individuals – tying bygone generations of students to those coming up behind them. The University of Limerick (UL) is similarly concerned with such notions of heritage and inspiration – its designs for a new student centre were first generated by the 2016 “Leave a Legacy” campaign, a student-led initiative concerned with improving UL’s facilities, not only for current students but future ones too. In an email to The University Times, UL Student President Ciara Jo Hanlon spoke of the university’s need to expand beyond their existent students’ union building: “Currently, as our building is so small, there is a perception that it exists for only the politically inclined or for our Clubs and Societies members, but this is not the case.” Hanlon hopes that “the new centre will be able to cater and provide for the wants and needs of all students”. UL’s students’ union recently underwent rebranding – to UL Student Life – in a bid to re-ignite student engagement with campus politics. With the original students’ union historically linked to the old building (commonly referred to by students as “the students’ union”), plans for a new student centre will certainly aid the organisation’s attempts to reconnect with the student population. The University of Essex’s student centre has not succeeded in becoming a hub of student activity, according to its students’ union president. This grappling between a loyalty to tradition and a commitment to innovation is a particularly pertinent one with regard to Trinity’s upcoming project ­– House Six has long stood as the nucleus of student activity on campus, but where will it stand following the construction of a new student centre? 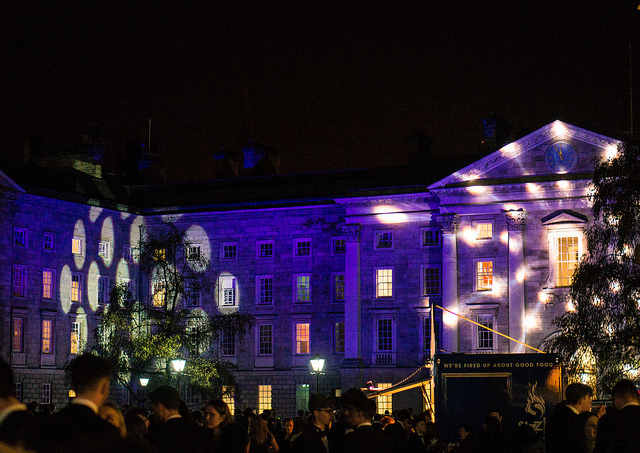 Once described by Joseph O’Gorman, the Strategic Director of the CSC, Assistant Junior Dean, as the “heartbeat” of Trinity’s student community, House Six is home to an eclectic mix of the College’s societies, publications, TCDSU, and the CSC itself. So might this prospective student centre, or student hub, become House Six’s better-looking friend? If the talk of bright, open-plan spaces is anything to go by, then yes – it will be. But that’s not to say it will altogether lose its position as the node of student activity. Campbell affirmed that “the CSC has always maintained that House 6 plays an extremely important role for student societies and for students’ experience of their time in College” and that the CSC is committed to maintaining its role as an incubator for student creation and innovation. It’s inevitable that a new student centre will re-orientate student activity, but House Six might be safeguarded from complete abandonment by its historic reputation. 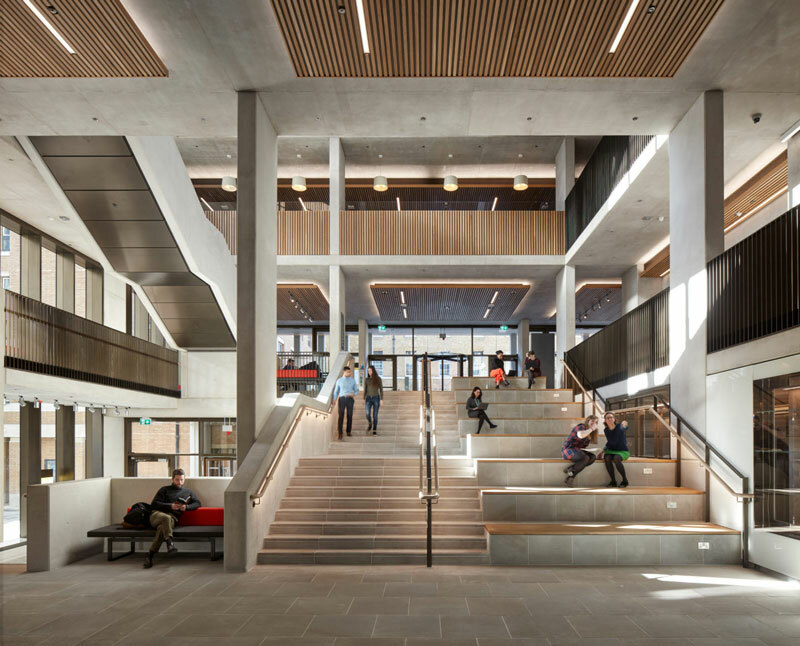 For Queen’s University Belfast, abandonment of its three-story, concrete, Soviet-style students’ union building, is a decision shrouded in controversy and touches on a tender historical spot. Described by the Irish Times as a “nursery for Northern Ireland’s politicians”, the building is inextricably intertwined with the last five decades of the city’s turbulent history. Only a year after its opening, its walls bore witness to the founding of the People’s Democracy – a student-led political initiative that would prove instrumental in the Civil Rights movement in Northern Ireland. As the Troubles unfolded and the city became engulfed in violence and destruction, this building endured – not only as a hub for student political activity, but as a safe space for socialising amid the chaos of an embattled city. 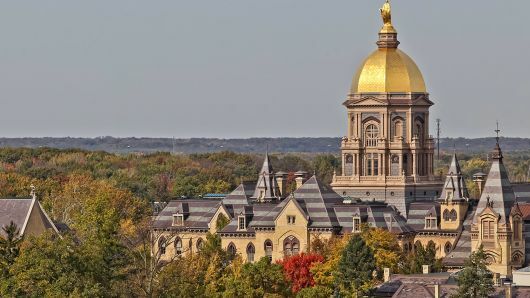 It’s no surprise then that any move to alter or, indeed, to demolish the building, has been received by some as a direct affront to their historically sensitive and emotional affinity to it. However, Queen’s University Belfast Students’ Union (QUBSU) holds firm that the university and its student population have far outgrown the building’s offerings. Queen’s 1967 students’ union building is one that lives in the imagination of older generations within the context of its cultural, historical and political moment – but current students now seek a building of their own, one that they can take possession of before passing it on to future generations to adapt. Thus, in August 2018, QUBSU moved out of the historic building to a temporary location while they await the construction of a new “world class student centre”. UCL’s Tancrède Chartier stressed the need, based on his own university’s failings, to construct a student centre that is “not frozen in time”. “You can’t decide”, he implored, “that this generation of students will have the possibility of shaping what it will look like”, and thereby rob that opportunity from a future generation of students. A student centre, like any other building, stands as a product of its time. The challenge then, is to create one that might transcend these temporal bounds, to link together the generations of students of the past, present and future.